First of all, I know, I actually have my legs out in a post! All I've been wearing since the summer crept out of nowhere is dresses, skirts and shorts - it's been too hot to worry about how white my legs are! 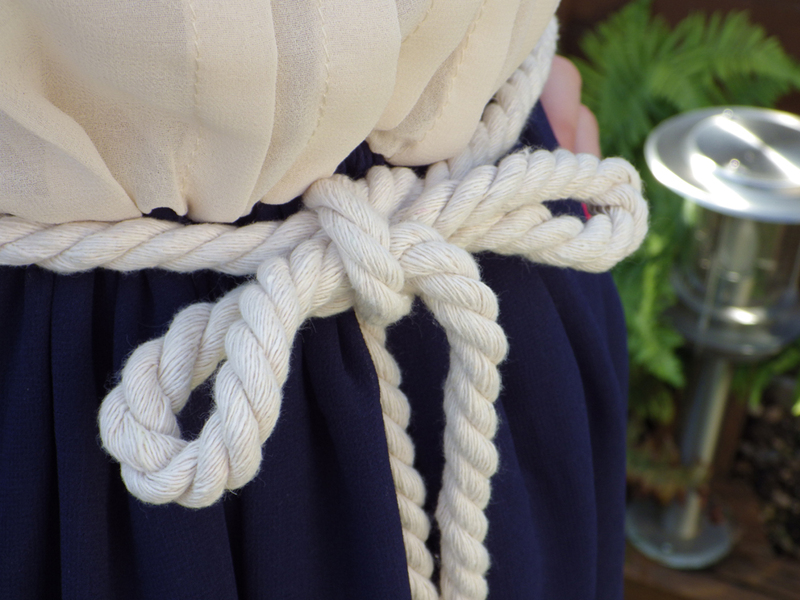 I absolutely love this cream and navy dress; I wore it out to an early summer's evening meal with some friends. I think it's a nice compromise between casual and dressy; I wore it with sandals but it would look great with a pair of tan or gold wedges. 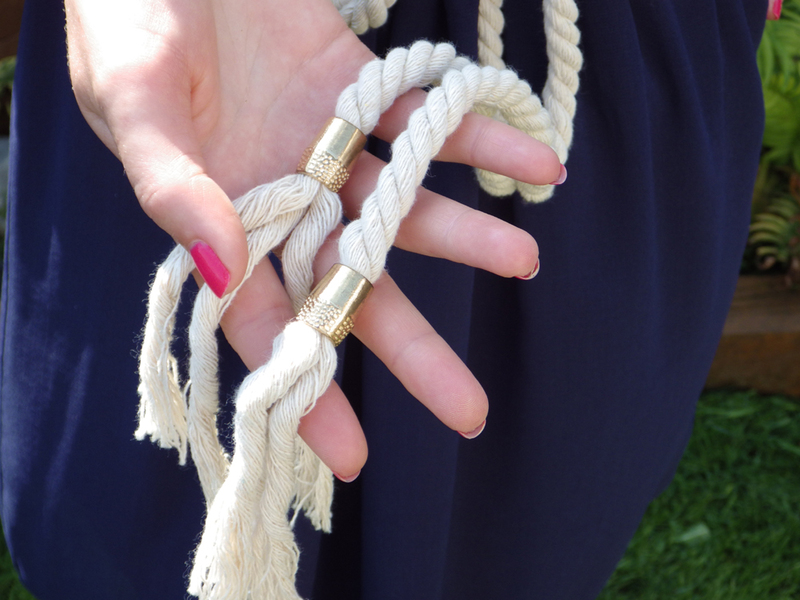 The rope belt with the gold cuffs gives it a fab nautical twist (I love the nautical trend!) and gives the dress that extra oomph it would be missing otherwise. I really enjoyed doing this OOTD post, as at the beginning of the year I made a resolution to do more fashion and lifestyle posts, which I've not been too good at. So if you would like to see more, please let me know! This looks lovely on you :) Great choice of nail varnish too! Looks lovely on you! the rope adds such quirkyness to it! Really like this outfit! :) looks great! Ooh, you look so lovely, I adore the rope detail! You should do more outfit posts. 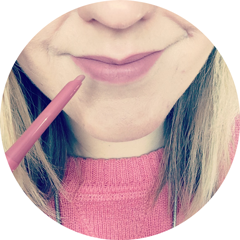 I am so sporadic with mine, really want to do them more often but need to get my hands on a tripod!